Canada’s smaller internet service providers say the CRTC needs to revamp rules that protect the big telcos and erode consumer choice when it comes to high-speed internet service. On Wednesday, the Canadian Operators Network Consortium (CNOC) filed an application asking the telecom regulator to revise regulations that CNOC says block small providers from accessing the big telcos’ ultra-fast fibre optic networks. “That just means higher prices and less choice. That’s the fundamental issue,” said CNOC chair Matt Stein, who is also CEO of Distributel. The CRTC said it can’t comment on an open case. Canada is home to more than 100 independent internet companies. The CRTC allows them to rent network access from major telcos such as Bell, Rogers, Telus and Shaw and resell the service to Canadians at competitive prices. In 2015, the CRTC mandated that Canada’s major players also had to share their highest-speed fibre optic networks with their smaller competitors. But Stein says the way the rules are written, the smaller providers still can’t gain access, leaving the big players to dominate the fibre market. “It’s just completely unreasonable,” Stein said. 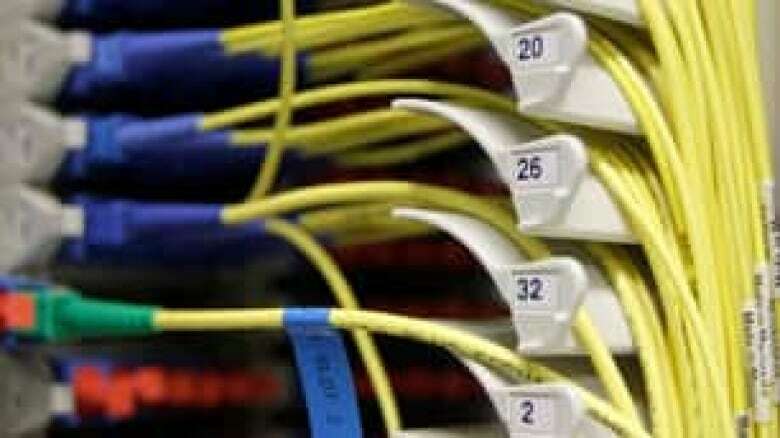 Fibre optic cables are able to transmit far more data than conventional internet service provided via copper wiring. In an effort to push the smaller competitors to also make infrastructure investments, the CRTC mandated that they had to take the extra step of creating their own connection points to neighbourhoods when accessing big telcos’ fibre networks. Stein argues the requirement creates a barrier because it’s far too costly and time consuming for smaller players to implement. Telco watchdog Laura Tribe argues that even if independent players can’t afford to invest in the infrastructure, they will still pay the big telcos for fibre access. Bell, Rogers and Shaw — which had not yet seen CNOC’s submission — all declined to comment. Telus said CRTC regulations need to support infrastructure investment. “Meeting Canadians’ rapidly increasing demand for more Internet bandwidth will require sustained multibillion-dollar capital investments over many years,” spokesperson Richard Gilhooley said in an email. Ontario-based internet provider Eyesurf says because it can’t simply piggy-back on big telcos’ fibre optic networks, it’s shut out of many new condos that are only wired with fibre-based internet access. But she quickly found out that wasn’t possible because her building was wired only with fibre access. CNOC is also concerned about a pending rule where small providers using the current model of accessing big telcos’ networks — without investing in multiple connection points — will have their internet speed capped at 100 megabits per second. “You end up in a situation where independent internet providers can no longer offer the services that Canadians want,” Stein said. CNOC’s submission comes shortly before a Nov. 16 CRTC deadline for internet providers to comment on finalizing wholesale rates charged by the big telcos for access to their fibre networks.